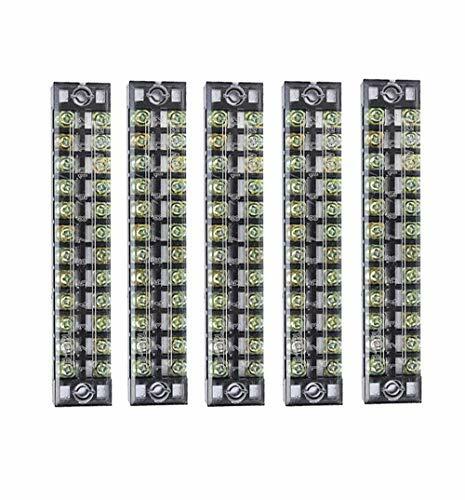 Dual Row, 4 Positions, Removable Clear Plastic Insulating Cover, Screw Barrier Terminal Block. Each pair of terminals is insulated from the next, prevent circuit in disorder. 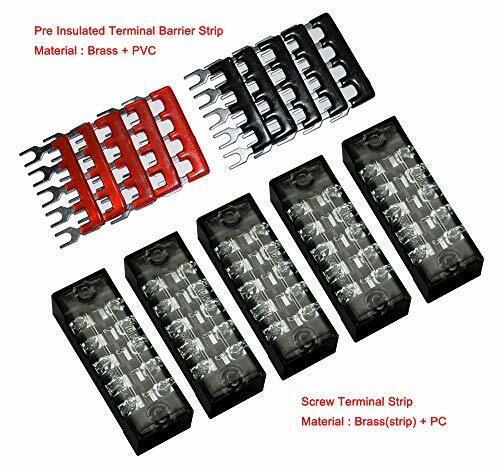 The set screws secure wires reliable contact and help prevent accidental contact with the terminals. 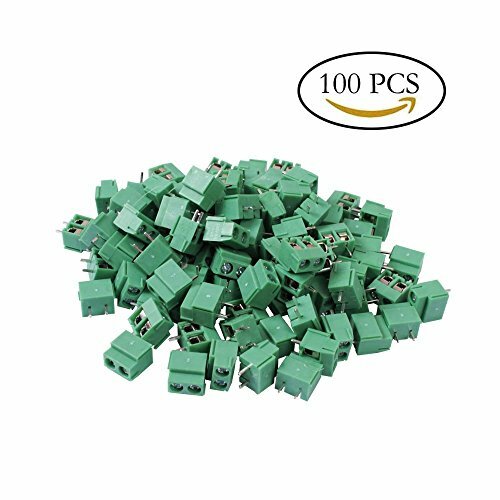 Used for wires connecting of home appliances, electronic circuits, machines, etc. One mounting hole each end for fixed mounting, easy to install. 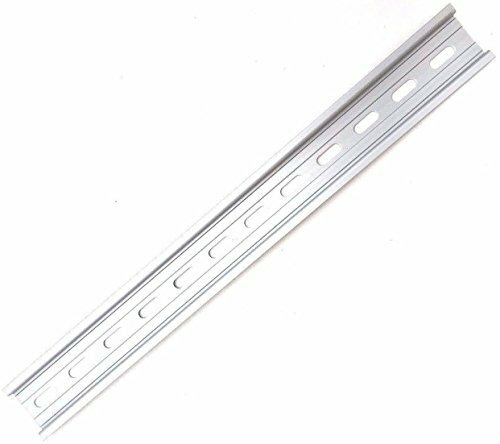 35mm wide 7.5mm high aluminum RoHS Compliant slotted DIN rail. Due to center-to-center distance of mounting slots, rails may be 7.75" - 8" in length. Very sturdy rail! 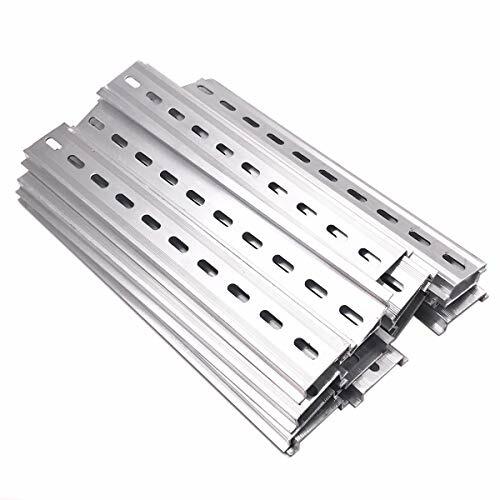 Erayco slotted DIN rail made of high quality aluminum, IEC, EN, DIN, JIS, GB standard and ROHS Compliant environmental protection requirements. 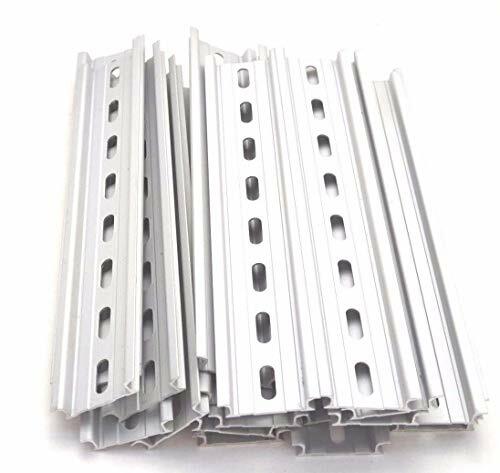 The rails are suitable for the installation of modular electrical appliances, to facilitate line design, to improve the installation speed, easy maintenance, reduce manufacturing and use costs. Guide rails can be used to install circuit breakers, contactors, surge protectors, modular jacks, motor soft starters, PLC, relays, terminals and other electrical appliances. Can be installed in all types of terminal boxes, distribution boxes, control cabinets, switchgear, complete sets of equipment, machinery and equipment. Barrier Terminal Block: Dual Row, 5 Positions, Removable Clear Plastic Insulating Cover, Screw Barrier Terminal Block. Each pair of terminals is insulated from the next, prevent circuit in disorder. The furcate pre-insulated terminal is easy to connect with electrical wire to strengthen its reliability and safety. Used widely in the machiney, electric power, railway, shipbuilding, aviation, home appliance, computer or other automatic equipments. Feature: Dual Row, 5 Positions, Removable Clear Plastic Insulating Cover, Screw Barrier Terminal Block. Each pair of terminals is insulated from the next, prevent circuit in disorder. 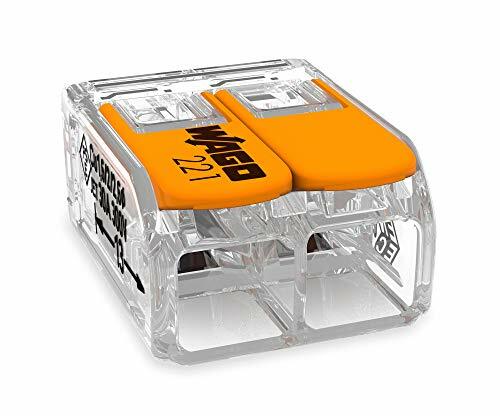 Barrier Terminal Block: Dual Row, 12 Positions, Removable Clear Plastic Insulating Cover, Screw Barrier Terminal Block. Each pair of terminals is insulated from the next, prevent circuit in disorder. The SunFounder HC-SR04 Ultrasonic Ranging module includes an ultrasonic transmitter, receiver and circuits. It has 4 pins: VCC, TRIG, ECHO and GND. The anti-reverse pin header onside makes it easy to connect and apply. As for the ranging principle, it is quite simple to understand: pull up the pin Trig to High thus providing high level signals of at least 10us, so the module starts to detect and measure the distance; if an object is detected, the ECHO pin will be High, and the duration of it being High depends on the distance detected, thus giving the distance calculation formula: Distance = Duration of High ECHO * Speed of sound (340m/s)/2. 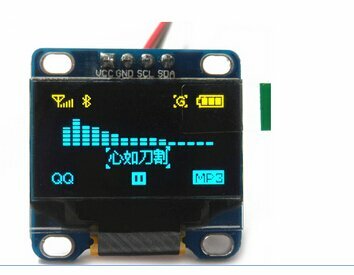 Ultrasonic hc-sr04 distance measuring transducer sensor, it consists of ultrasonic transmitter, receiver, and control circuit. 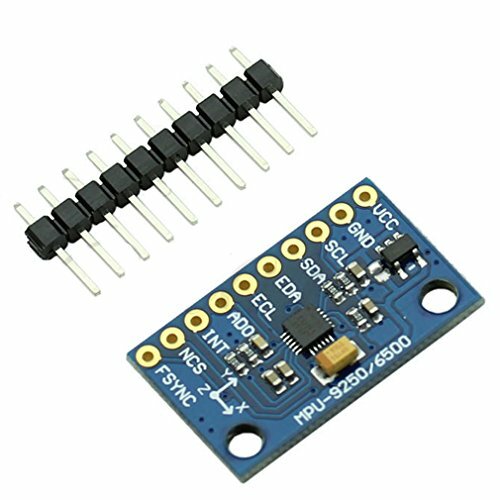 HC-SR04 Ultrasonic Sensor Distance Module: using IO trigger for at least 10us high level signal When triggered it sends out a series of 40KHz ultrasonic pulses and receives echo from an object. 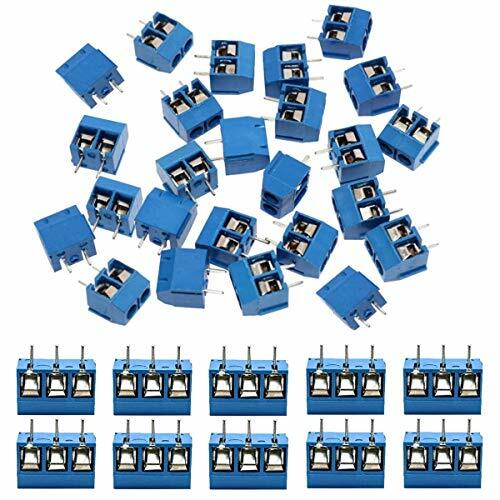 100Pcs 2 Pole 5mm Pitch PCB Mount Screw Terminal Block 8A 250V. 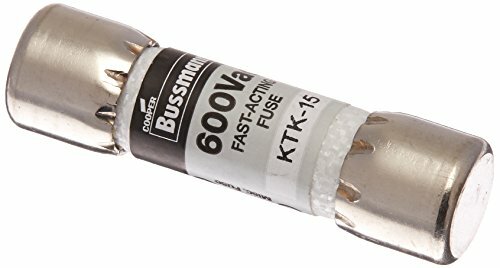 Solder in easily and tighten very well on the terminated wires. New 10AWG version of popular Wago 221 series Lever-Nuts. 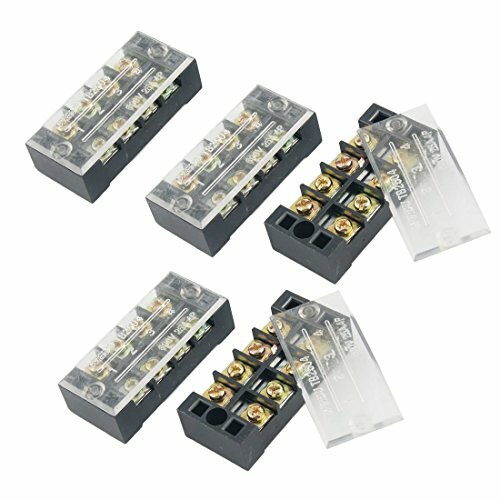 If you don't need 10AWG please see 221-412 version. 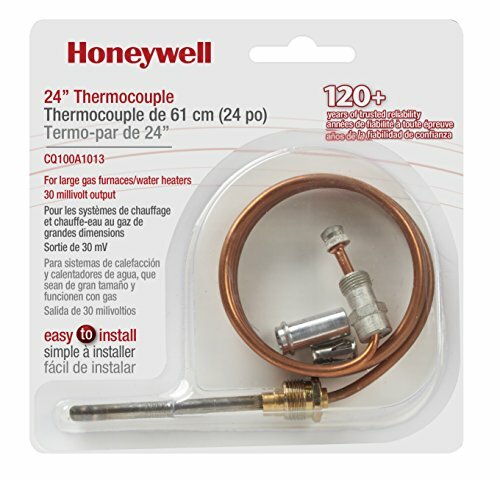 Connect any combination of solid, stranded, and flexible copper wires faster and more reliably. Terminates 20-10 AWG solid and stranded. 2 conductor. Visually inspect for proper strip length and complete wire insertion through its transparent housing. This module features the MPU-9250, which is a multi-chip module (MCM) consisting of two dies integrated into a single QFN package. One die houses the 3-Axis gyroscope and the 3-Axis accelerometer. The other die houses the AK8963 3-Axis magnetometer. 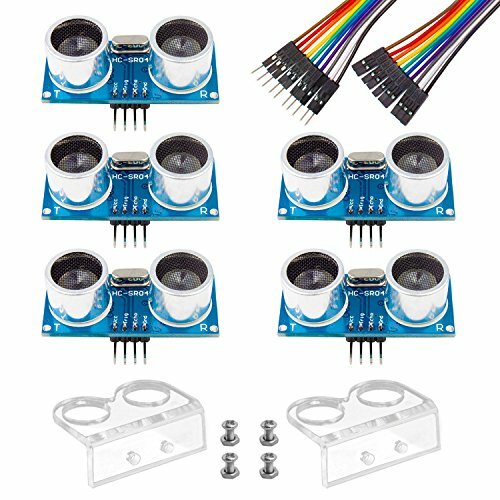 Hence, the MPU-9250 is a 9-axis MotionTracking device that combines a 3-axis gyroscope, 3-axis accelerometer, 3-axis magnetometer, and a Digital Motion Processor (DMP). The MPU-9250 also features an embedded temperature sensor. 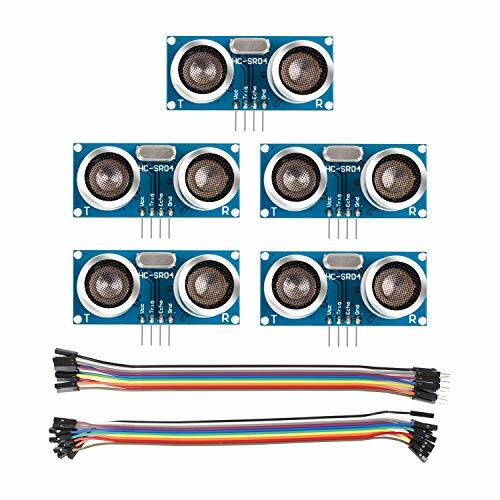 This module includes pull-up resistors on the SDA, SCL, and nCS lines, pull-down resistors on the FSYNC and AD0 lines, and an on-board 3.3V voltage regulator allowing you to power the module from 5V sources such as an Arduino. If you desire to power the module from 3.3V you can bridge the solder jumper next to the voltage regulator to bypass the regulator. It can connect two conductors with ease, even large conductor cross sections are not a problem. Can be used on DIN Rail 35mm, steel or aluminum. Material: Nylon PA66 Housing + Alloy Copper Bodies + Nickel-plated Screws. Rated voltage: 600V, IEC 690V. Rated current: 20A, IEC 32A. Conductor cross-section, solid (AWG): 24-12 conductor cross-section, flexible (AWG): 24-12. Cut them down to customize electrical ganging of blocks! Usage: Connection by screw tighten, for a clean professional look! 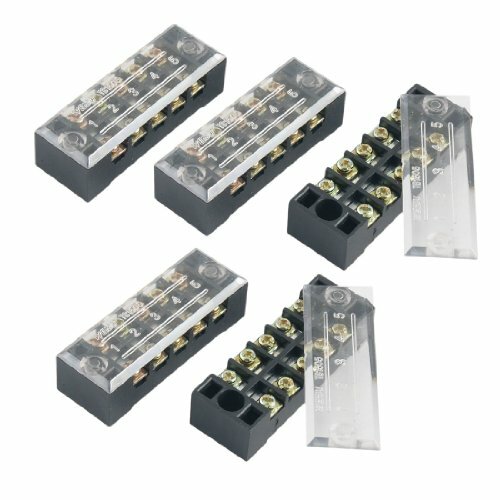 Perfect DIN Rail Terminal Blocks Kit Terminal blocks kit comes with 20pcs terminal blocks, 2pcs ground blocks, 2pcs jumpers, 4pcs E/UK end brackets, 4pcs UK-2.5BG end covers, 1pcs 8" aluminum RoHS Rail. 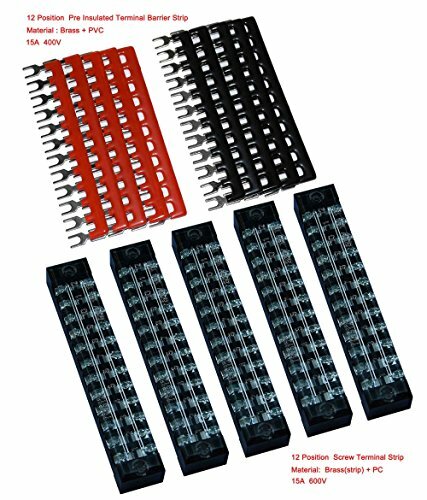 Terminal Blocks UK2.5B The UK2.5B universal screw DIN rail terminal block series has the typical features which are decisive for practical applications. Made from engineering flame retardants nylon PA66 with brass screw metal.It can connect two conductors with ease, even large conductor cross sections are not a problem. Can be used on DIN Rail 35mm, steel or aluminum. 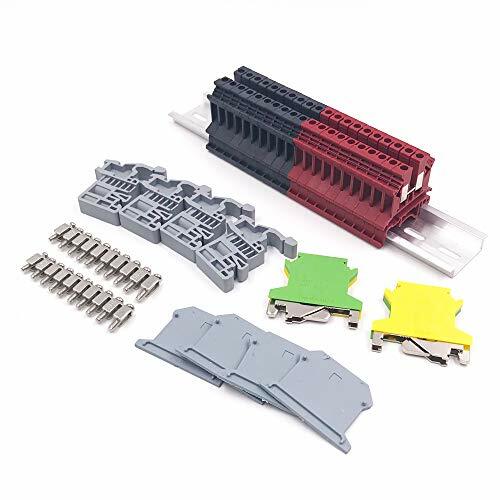 Ground Terminal Blocks Connectors The grounding terminal blocks provide an easy-to-identify, convenient, neatly organized grounding bus that is mounted on the DIN rail.The protective terminal blocks has strong clamps to ensure tight fixation on DIN rails to achieve the PE function. 35MM Aluminum DIN Rail Mounting rails and brackets to enhance configuration and installation. Guide rails can be used to install circuit breakers, contactors, surge protectors, modular jacks, motor soft starters, PLC, relays, terminals and other electrical appliances. PulseSensor.com the Real & Original Pulse Sensor plug-in for your project. This is the Original and the Best! Accept no alternatives. Soft braided-wire ribbon cable. Great for wearables! An Ear Clip that's perfectly sized to the sensor. A Velcro Finger Strap, just like the pro's. Transparent Vinyl Dots, which make electrical insulation simple. 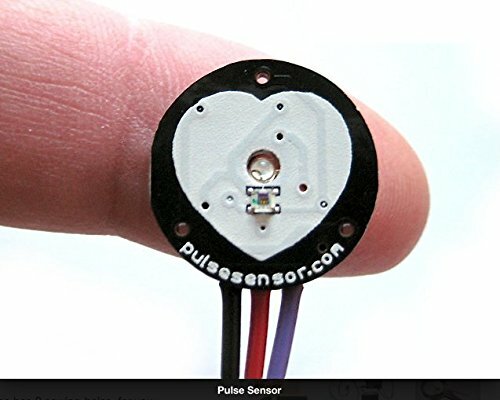 www.PulseSensor.com for Projects and All Info.